Jordi Gratacós Gayola, local director of the first Russia-based FCBEscola, has landed this week in Moscow to begin work on the new project. Russia is country of 135 million inhabitants and football is the number one sport. Despite this fact, only one Russian footballer has ever represented FC Barcelona and with this project up and running before the 2018 World Cup in the country, it signifies a great opportunity for the nation’s young players and the Club itself. 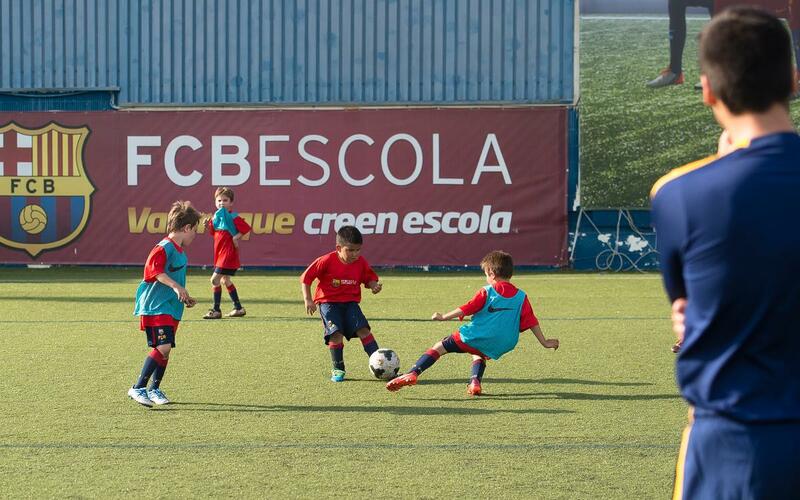 There are still places available for those wishing to register and become the first generation of players at the FCBEscola Moscow. The programme is designed purposely to meet the demands of talented young footballers returning to the Moscow area following the summer holidays. During this time, visits will also take place as well as training sessions. The opening ceremony is scheduled for 17 September after which training will operate on a regular basis. As well as the ceremony, other activities will take place which can all be followed on Instagram and other social networks using the hashtag #CloserToBarca.